* Hurricane Patricia is a rare Category 5, probably the strongest hurricane ever reported over the eastern Pacific or northern Atlantic basin, with sustained winds over 200 mph and gusts to 250 mph, capable of catastrophic damage. * Mexican state of Jalisco threatened today; major coastal cities in direct path include Manzanillo and Puerto Vallarta. Mexico's second largest city of Guadalajara may experience widespread flooding. Patricia represents a grave threat to life and property, especially coastal areas with storm surge flooding, but inland flooding of rivers and urban areas will be extensive, probably historic. * Waters warmed by El Nino producing incredible levels of intensification; property damage and loss of life may be extensive; portions of Manzanillo and Puerto Vallarta may be uninhabitable for weeks after impact. * Tropical moisture leftover from Patricia will fuel a major, potentially historic flood event for Texas and Louisiana, with possible impacts as far inland as Oklahoma and Arkansas Sunday into Tuesday of next week. Texas stands the greatest risk of extreme flooding, due - in part - to the tropical remains of "Patricia". Predicted Damage Swath. 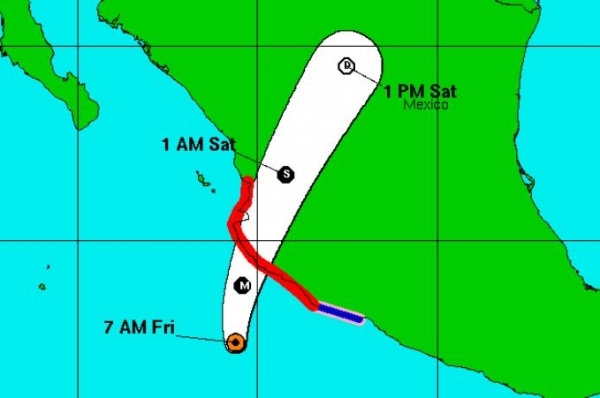 Catastrophic damage from extreme winds, surf and flooding rains is imminent for Manzanillo and Puerto Vallarta. Patricia is now the rough atmospheric equivalent of a tornado, only one that's 30 miles wide packing 180-220 mph winds. 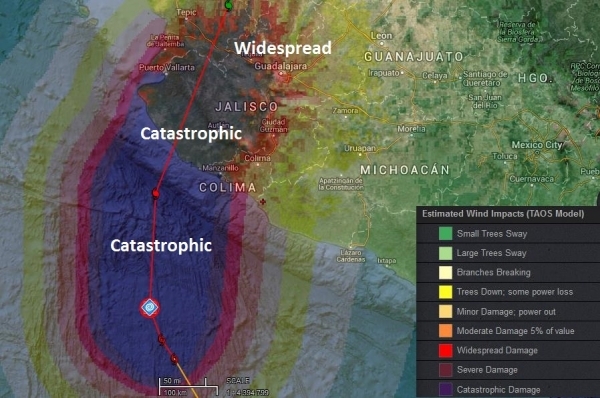 Widespread damage from extreme rains is likely as far inland as Guadalajara. Patricia represents a true, legitimate national emergency for Mexico, specifically the state of Jalisco. Storm Surge Potential. Coming ashore later today or this evening as a Category 5 storm Patricia will push a dome of water 15-25 feet into coastal Mexico, with the greatest potential for historic, catastrophic flooding near Manzanillo, where damage is likely to be widespread and potentially historic in nature. 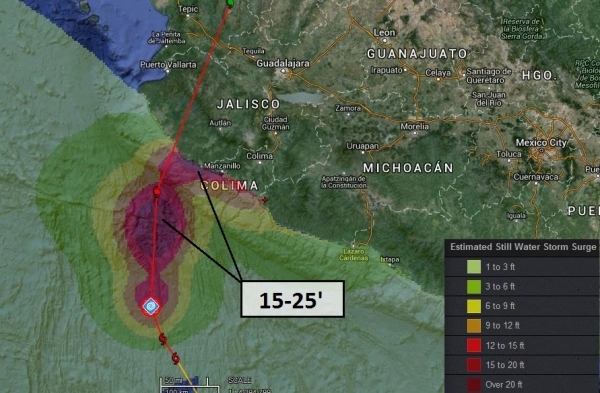 I would not want to have people within 20 feet of sea level in Manzanillo later today - evacuation to higher ground is essential, or "vertical evacuation", a well-constructed interior room in a high-rise office building or hotel offers maximum protection from the winds and battering waves of Patricia. Implications for Texas. 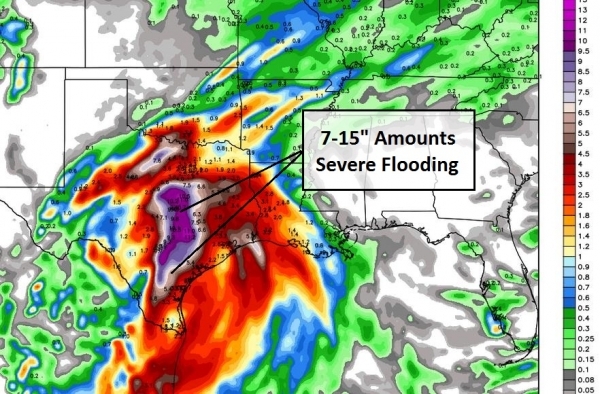 It's still too early to pinpoint which areas of the Gulf Coast will experience the most severe flooding, but staff from Austin, San Antonio, Houston and Dallas east to Shreveport, Little Rock and New Orleans should be at a heightened state of readiness in the coming days. Moisture leftover from Hurricane Patricia will fuel a slow-moving, tropical-depression-like system in the western Gulf of Mexico, and resulting rainfall amounts may be execessive: as much as 7-15". For some counties flooding may be similar in scale and scope to what we saw in South Carolina a few weeks ago. Source: WeatherBell. Flood Watches Posted. 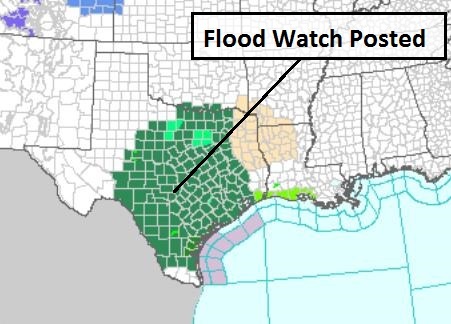 Much of Texas is already under a Flood Watch. These watches will be expanded north and east into Oklahoma, Arkansas and Louisiana, many counties upgraded to flood warnings as river and urban flooding increase over the next 48 to 72 hours. I'm most concerned about the I-35 corridor from San Antonio and Austin to Dallas, where flooding may be extensive to extreme between now and Tuesday. 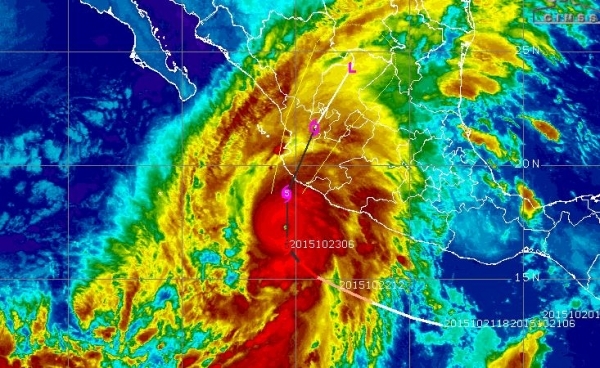 Summary: Hurricane Patricia is historic in scope; we've never seen a hurricane this strong in the eastern Pacific. It's coming ashore later today as a Category 5 storm, impacting Manzanillo, Puerto Vallarta and Guadalajara, where damage will be extensive, potentially catastrophic and historic (and I don't use any of those words lightly). Rush preparations to completion and alert staff and facilities from Texas across the Gulf Coast for possible impacts (extreme rains) as the soggy remains of Patricia push northeastward in the days to come.